In The Studio This Week: 100 years on – we salute you all. It’s exciting re-brands, website builds and creative campaigns, business as usual at Glow; but in between the whirl of deadlines we’re taking a little time out. 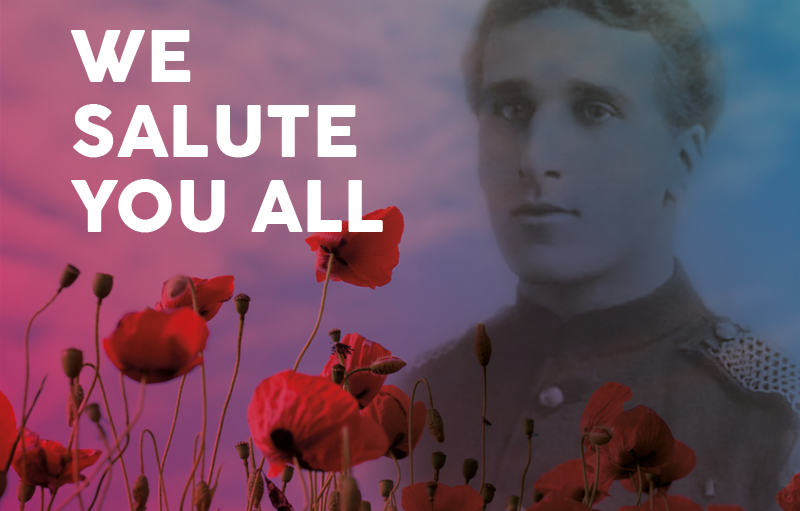 For this week we’re remembering our ancestors, our friends and neighbours from the World War One, which ended 100 years ago, 11 November 1918. Just along the South East, Worthing Museum & Art Gallery will be marking the centenary with displays and a talk on Worthing during the war. The displays will look at the training of soldiers at Shoreham Army Camp, the fighting conducted by the Royal Sussex Regiment, and of the Home Front and the effects of the war on the people of Worthing. You can find out more about the exhibition on the Worthing Museum & Art Gallery website. Closer to home, one of Glow’s shareholder and original founders & author, Debbie Barker has published her blog in memory of her grandfather, Victor Gordon Faulder. He served in the Royal Artillery (Royal Horse Artillery and Royal Field Artillery) and rode a horse to pull the great guns. He did survive the war, though deafened from shell shock, and was able to vividly recall the Christmas Day truce in Ypres, in 1914, when soldiers on both sides, lay down their weapons in their trenches and sang Christmas carols while swapping beer and stories with the enemy in no man’s land. Debbie’s blog is a poignant recount and includes a recent visit to the beautiful village of Great Rissington, home to the Souls family, who lost five of their six sons in the great war. Film-maker Danny Boyle is inviting people to head to beaches across the UK on November 11 to remember World War One heroes. 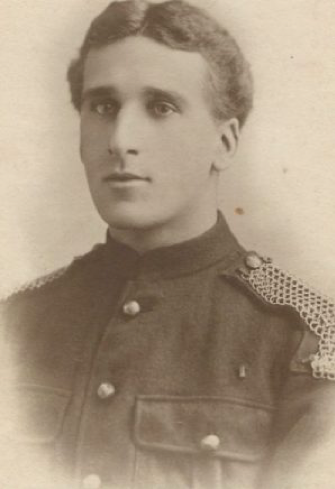 Portraits of those who died, such as Private Walter Bleakley, who lived in the street where Boyle went to school in Greater Manchester, will be drawn in the sand – then washed away by the tide. And finally, what we think we be just stunning, is Sir Peter Jackson (Lord of The Rings director) 90-minute documentary about World War One by taking old black and white footage, sharpening it up and converting it to full colour. It goes beyond just our gratitude and so in the words from The Royal British Legion, ‘Thank you all who served, sacrificed and changed our world, and shaped it into the world we live today”, we salute you all”.